Reverend Guimo's Blog: The only true winner, is Meat Sweats. The only true winner, is Meat Sweats. The new toys that are inspired by the designs from the new cartoon "Rise of the Teenage Mutant Ninja Turtles" look kind of lame. At least to me. I wasn't too impressed with their overall look at first, and it still hasn't grown on me. 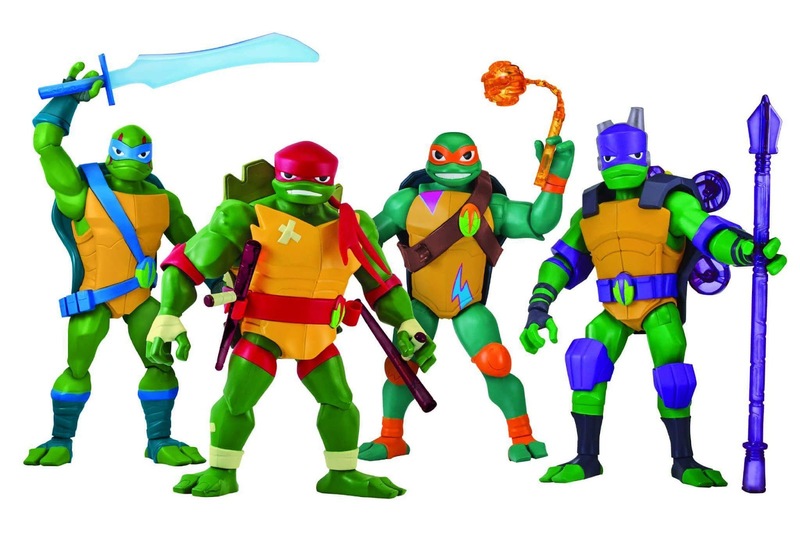 I think Donatello looks alright, but otherwise this is all one big shrug for me. 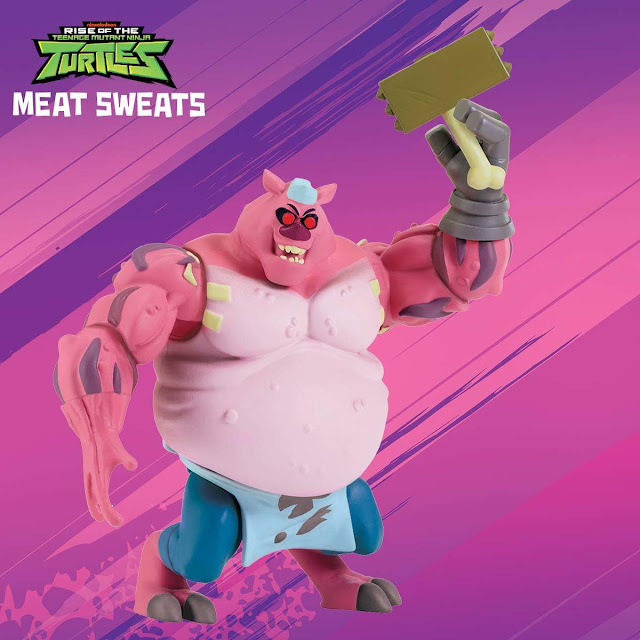 From this new line I only really like the character Meat Sweats, so I might pick him up. Maybe. If I can remember to. 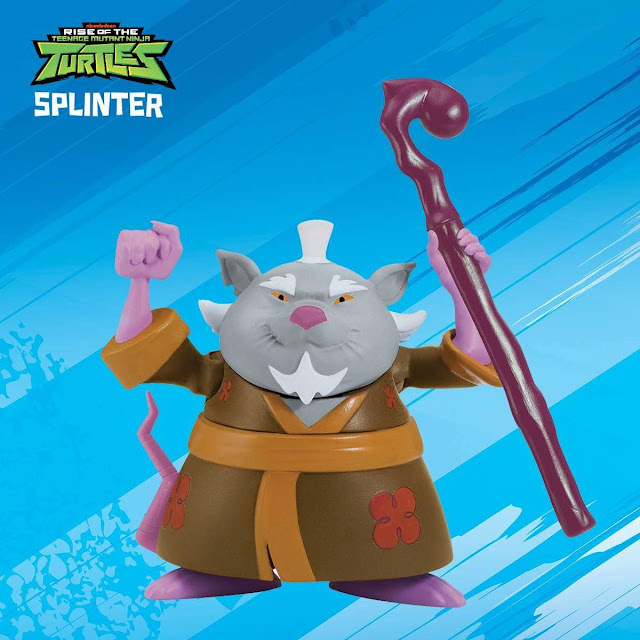 This new Splinter looks adorable in figure form, but I'm still not a fan of this design at all. Look at those lazy flower designs on his outfit. 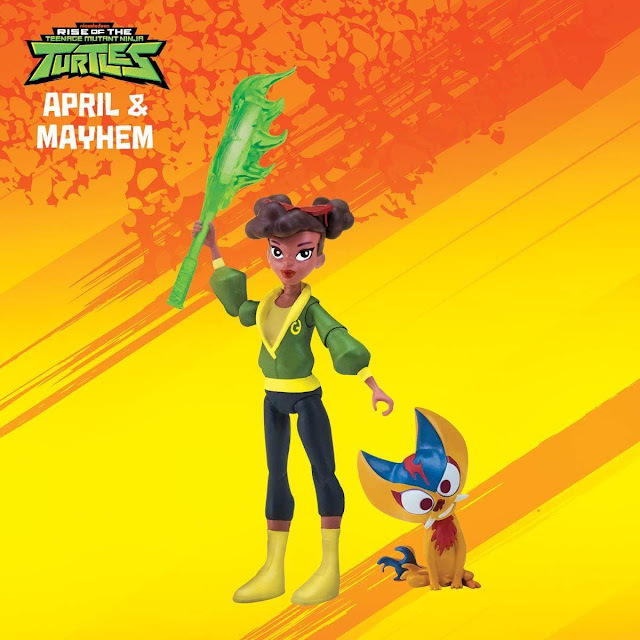 April looks pretty cute. I love her hair and glasses, and her blazing fire bat, but I'm going to pass on this figure as well. And her little monster friend reminds me of that CGI "TMNT" movie, which is still my least favorite out of all the TMNT films. So big pass on him. At this point the show is still kind of a mystery. All we know is that Raphael is the leader now, the turtles use magic, Shredder isn't around yet, and April O'Neal is a black girl now. That all aside, we have no clue what the show will be like or what the animation will look like in motion. I'm still going to give the show a watch, but I also don't have any expectations either way for it.